Located in the Austrian Alps, between Lake Constance and Arlberg, Hotel Post Bezau sources inspiration from the surrounding Bregenz Forest in its overall wellbeing concept and design. The family run hotel, managed by Susanne Kaufmann in its fifth generation, takes a holistic approach by combining the natural environment, spa, culinary indulgence, and culture to engage all senses and create a memorable holiday experience. A relaxed place to unwind and escape, the spa and detox hotel centers around the Susanne Kaufmann Spa, with personalized health treatment programs and a team of doctors and therapists. 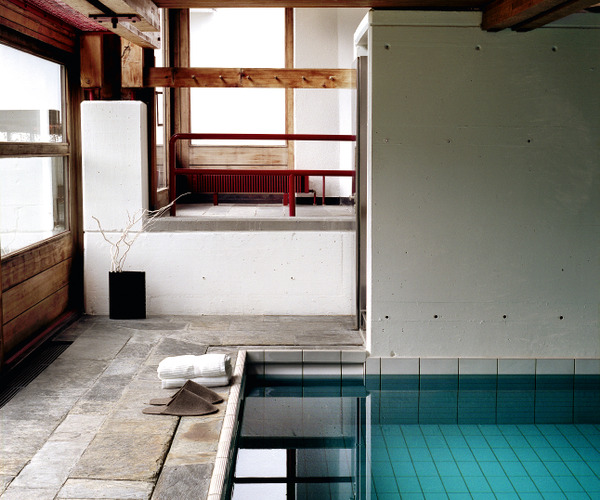 At Hotel Post Bezau, authenticity, tradition, modernity, nature, and luxury come together. 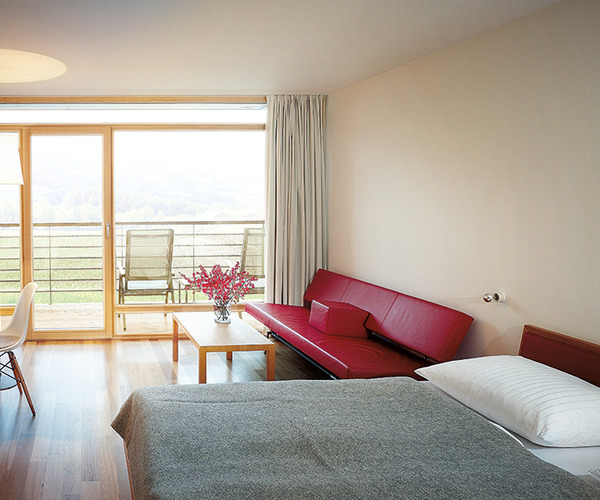 Decor elements and ingredients in gourmet cuisine are delivered by the Bregenzerwald region, and the hotel’s commitment to sustainability and the environment permeates the property. The spa and detox hotel emphasizes specific offerings that allow guests to focus on their health: detox, Traditional Chinese Medicine, natural anti-aging and beauty treatments, sleep, exercise, and diet. At the Susanne Kaufmann Spa, a team of doctors and therapists design customized treatment programs that merge Traditional Chinese Medicine with cutting-edge science. Spa treatments vary from alkaline therapies to Thalodal sports massage. Fitness enthusiasts will find a variety of both indoor and outdoor exercise options on site. In the summer, guests have access to hiking, golf, fly fishing, biking, and professional walking; come winter, Hotel Post Bezau is the ideal starting point for activities such as skiing, cross-country skiing, and snowshoe hiking. Additionally, the hotel’s active program provides complimentary daily health courses and workout classes— including yoga, cardio training, qigong, and swimming—plus, personal training, a tennis academy, fitness coaching, functional training, and more. A major emphasis is also placed on mental fitness: Professional instructors lead sessions like active relaxation, movement, and relaxation programs. Spa treatments and nutrition offerings are tailored to guests’ needs to maximize the detoxification process, as well as accommodate training schedules or desired weight. The pure, natural design of the 58 guest rooms and suites accentuates the hotel’s devotion to its surrounding environment, using materials like wood, leather, fleece, and hand-woven fine Bregenz Forest linen in its decor. Amenities include desks, roomy closets, flat-screen TVs, and electronic safes; some rooms feature medical-orthopaedic Samina sleeping systems. As well, Susanne Kaufmann organic treats provide the perfect accent. The award-winning culinary team at Hotel Post Bezau, led by Head Chef Stefan Jazbec, delivers innovative gourmet cuisine prepared with home-grown, organic, and fresh ingredients. The chef’s ever-changing menu, enjoyed at the 2 Gault Millau-awarded Irma restaurant, impresses the most discerning epicurean, and dishes can be paired with a glass from the extensive wine selection, created by in-house wine expert Dietmar Alge.